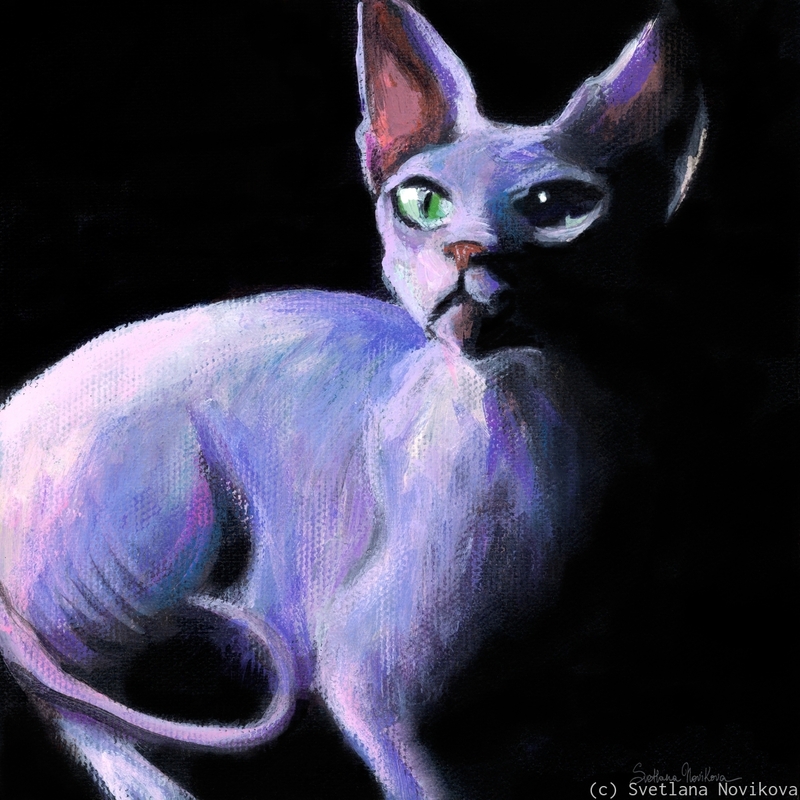 Dramatic Sphynx painting print, Copyright Svetlana Novikova. Original is sold. 7" x 7"9" x 9"11" x 11"13" x 13"16.625" x 16.625"